Hisense, a large Chinese manufacturer licensed the Sharp name in June of 2015. Hisense is not a well known brand in the U.S., but it is in China, where the company has the number 1 market share in units sold. It's also reportedly #3 globally in units sold with over 16 million TVs produced. Hisense is focusing on low priced models as well as high quality featured TVs all the way up to THX certification in its bid to gain U.S. Market share. Hisense purchased the Sharp brand and the Mexico assembly facility in a $23M deal. 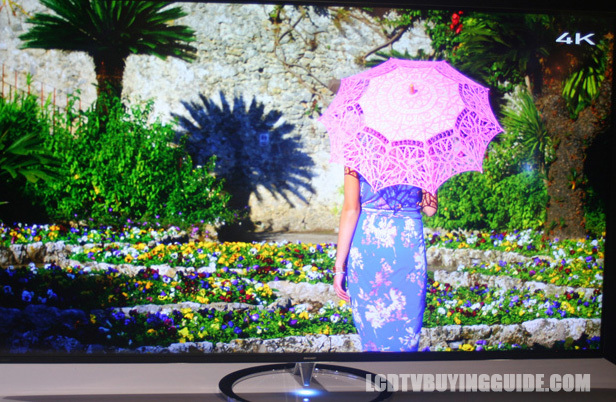 The Sharp models will purportedly still use the Sharp LCD panels in their production. The N9000 series bumps the resolution to 4K UHD, and has solid picture quality with a good front and center viewing black levels and color saturation. HD 720P, 1080p signals and lower are upconverted by the Revelation upscaler. This is one of the most important elements of any 4K TV as there is still little available content. Most of what we watch is still 1080p (if we're lucky) but mostly 720p and 480p. The front glass panel adds nice depth to images where plexi often fails to deliver. Spectros is Sharp's name for the Quantum Dot spec. How does Quantum Dot technology work? The Nano crystal layer (called the QDEF layer) is a stack of ultra thin film located between the LCDs (liquid crystals) or LEDs and the front protective glass or plexi layer. The benefits of the technology are a wider color gamut (more colors) produced by better disbursement through the Nano Crystal Diffuser Film. Think of the Nano Cystal layer as a color converter which assists the LCDs in creating more colors. It produced a cleaner, clearer and more defined color representation especially in the greens and yellows. With a 4K UHD signal I would say the color production is 5% to 10% better. Colors and black levels do degrade at side angles starting at 18 degrees off center. Brightness levels very good. There is some perceived lack of depth in on-screen images. Both of the N9000U models have the expensive addition of full array local dimming. The full array option is more complete, giving the viewer better contrast in more refined areas of the screen. Both models have some benefit of the dimming exercise and are controlled by (LED backlight) zonal manipulation in such a way that they can help increase contrast in various areas of on-screen images. In a 65”+ TV they are especially beneficial. We give the N9000U an average rating in local dimming processing and presentation. A stunning 4K image displayed on the N9000. The top of the line N9000 series is a serious quality TV with QD, 4K, HDR capability. It has a built in streaming Apps selection including the usual suspects that you use most like Netflix, Amazon on Demand, and You Tube. Built in Dual Band Wifi. An Apps store and web browser. And a media player/receiver. It also has the Sharp “Aquomotion” designation which manipulates the backlight in order to show a perceived smoother picture (increased Hz rate designation). Gaming input lag is very average on this TV, not up to par with mid range Samsung, LG and Vizio models. This is an interesting feature that doesn't add much value to the TV, but we see it as something fun. Sharp’s claimed exclusive Wallpaper Mode gives users the ability to choose any image they would like for the screen to display when the TV is OFF. They claim the energy levels are extremely low and the brightness simulates museum conditions. This isn't going to be a selling point for the TV, but it's a neat idea that could provide some fun results during dinner parties. The 70N9100 sells for a premium price of around $3199. The 65N9000U goes for under $3000. 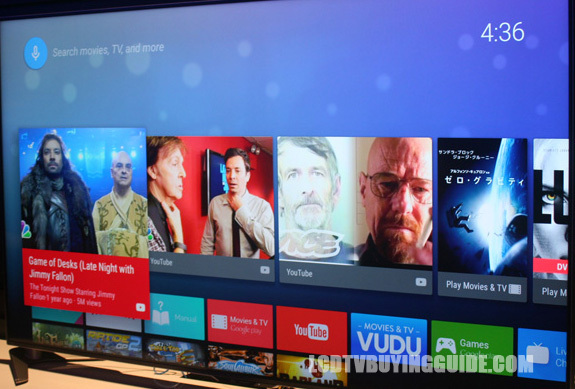 These are both advanced TVs with lots of extra high end features. HDR, Quantum Dot, a front glass panel (rather than plexi-glass), upgraded remote control, separate media receiver, full array local dimming, and a wide color gamut.